tl;dr - Leave an unfinished run before ROS launches to get the rewards and a Free Arena Ticket. 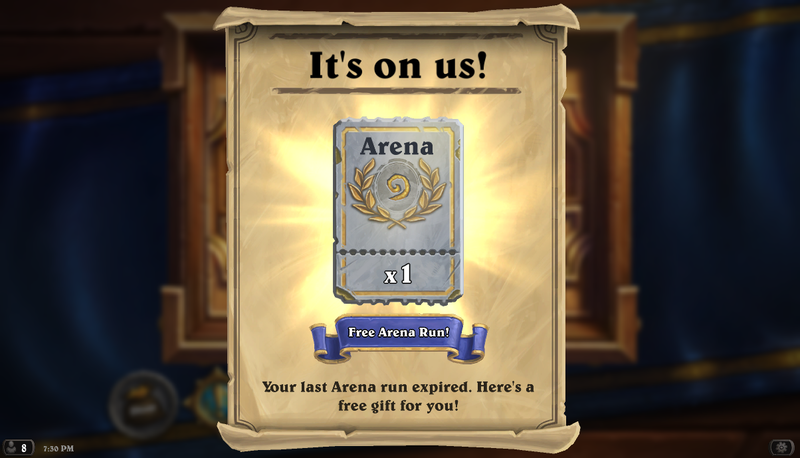 Whenever a set of cards is removed from arena, Blizzard seems to make an arena reset, retiring all decks, and we get a free arena ticket for our unfinished runs. 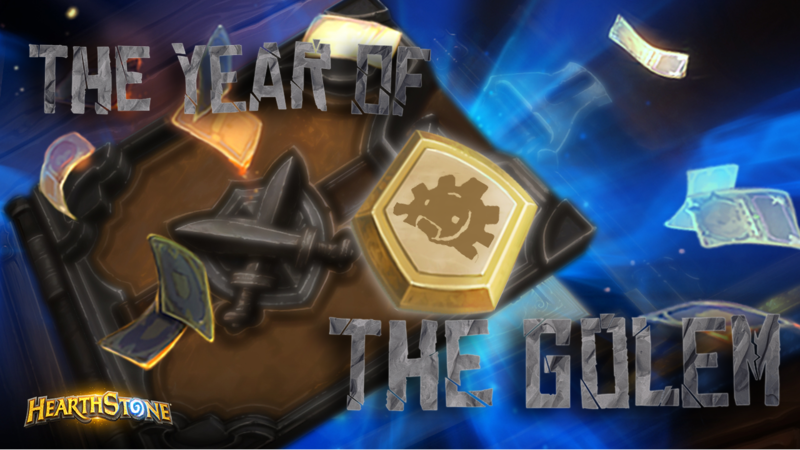 In the past this has been the case when the new HS year started or during some arena related events (dual class arena, arena exclusive cards). Anyway, when Rise of Shadows launches, we should get a free arena ticket for unfinished run regardless of what will happen down the line. So as always, play out your runs to as many wins as you can get before 2 losses and reap the rewards. Even if you dont like playing arena, by doing this you will get 2x ROS pack + some minor amount of gold/dust for 150g total, saving up at least 50g. Just leave your run at 0-0 and retire it after the launch and then do the same with the ticket (or save it for the next reset so you dont have to spend another 150g to repeat this). What? I pressed a new article and I was linked to the forums? that's weird, thanks for the notice btw! I dont play arena much, and keep a ticket from the last event for free packs. Its worth the risk and with the new shadow deal coming out after release you will get an arena ticket. If you don't play arena ever at all: start an arena run (150 gold), you don't even have to finish the draft. You'll get a pack as a reward + free ticket with which you can start another arena run to insta-retire and get another pack. 2 packs for 150 gold. 50 gold profit. Updated info about expected xpac launch and expected times when arena entries close. The 8 hours is just a rough estimate from past experiences, so dont leave it out for last second counting on that being 100% accurate. It's a feature we've had a forever and doesn't get used much. I guess because we want to incentivize multiple page views. For stuff like this though, it's a bit dumb to give people some info and then pass them over to the forums. The card design competitions over the past week have also been just hotlinked over. It saved some time during the painful reveal period but I've kinda realized that we're just formatting the same information twice, it's kinda better to force people over to the thread - it might even get us more votes / submissions. Geeze I am terrible at arena. 2 quick losses, now I will play the waiting game. I don't understand the point of starting an arena run and not finishing it. I will get a free arena ticket regardless if I have an open arena run or not. So in hindsight, I am just spending 150g for a pack depending on how many wins I have in the arena run. Is Rafaam in arena an auto win? Yes, you will get the rewards for the 5 wins, and receive a ticket for a free run because they are ending your current run. I believe you do have to finish the draft. I am not sure if you have to play any matches though. I know that on a draft I didn't complete when I got the prizes the pack didn't actually show up for me to open nor did I get the gold. So I will not be trying that again.